SC Magazine is a leading security publication. It has a US, a UK and an Australian version, which aren't that drastically different from one another. One of the differences is that each of the editions stresses on news from the region, but there are also many topics in common. 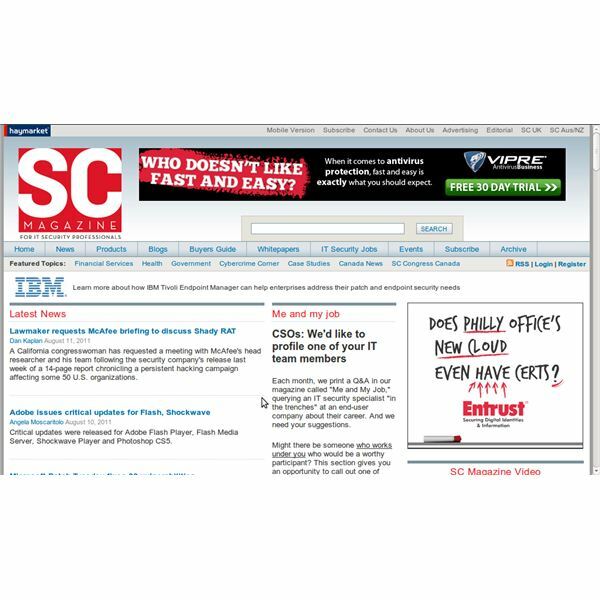 SC Magazine publishes security news for the IT professional, more in-depth feature articles on news topics, as well as reviews and voices from the industry. This magazine is a must follow, so if you have the time to read it daily, I really envy you. 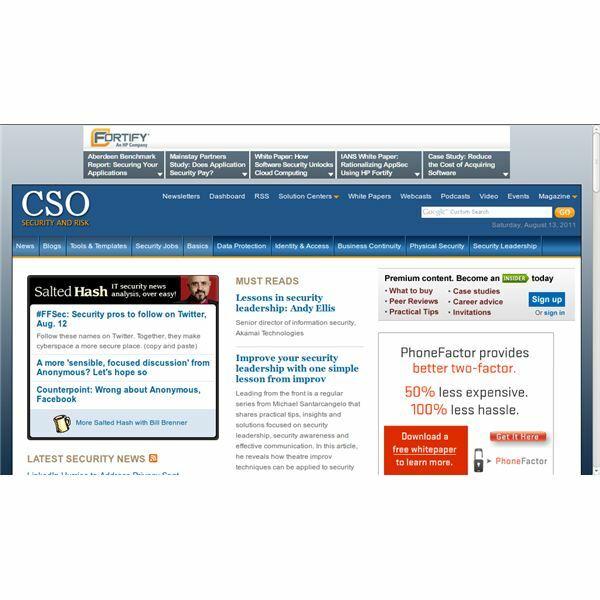 CSO (Computer Security Online) is another security publication aimed at security pros. Similarly to the SC Magazine, CSO also publishes news, features and reviews by its own authors or from external authors/sources. There is also a fat White Papers' section, so if you are looking for White Papers from premium security vendors, you will find them as well. Global Security Mag looks like a poor relative to some of the other computer security magazines on the list, but if you don't pay that much attention to looks, you will appreciate its usefulness. It might not be updated as frequently as the other leading security magazines, but it still manages to deliver the important news. One of its special features is that it has a news edition in French, so if your English isn't good enough to read in it, you can turn to the French edition. Security Technology Executive is not focused entirely on the technical audience (though it is read by techies too). It is primarily aimed at the executive level. It is a print publication, but many of its print articles, as well as articles that are not included in the print edition, can be read online. Security Technology Executive offers a broad look at security problems and if you are interested in breaking security news, you won't find it there. 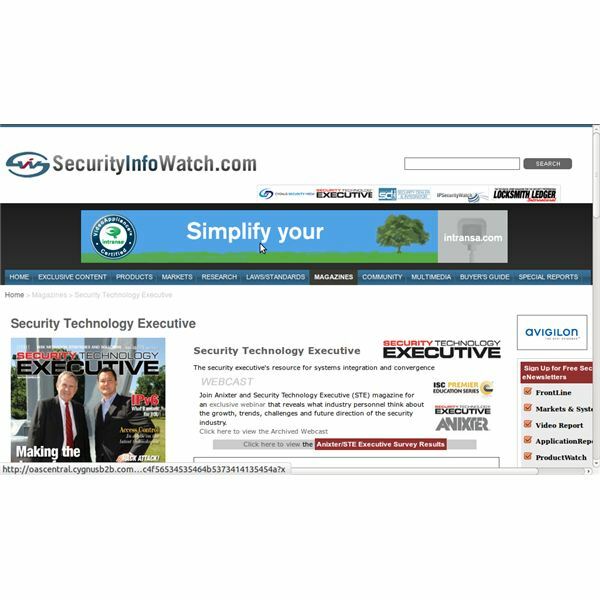 SearchSecurity.com, by TechTarget, is another security portal to keep an eye on. The TechTarget network has portals on almost any tech topic and security, being a core tech topic, isn't an exception. However, even though the publication is on the tech side, it also covers business topics as well, so it can be easily read by both business and tech people. ComputerWorld is among the best known names in the IT publications area, so no matter what kind of IT you are interested in, chances are you will find the information there. The Security section of ComputerWorld is a great place for security news. This section is frequently updated. This means that if you follow it, you will learn security news soon after it happens. The White Papers section is also worth reading because there you will find documents on many practical aspects of security. 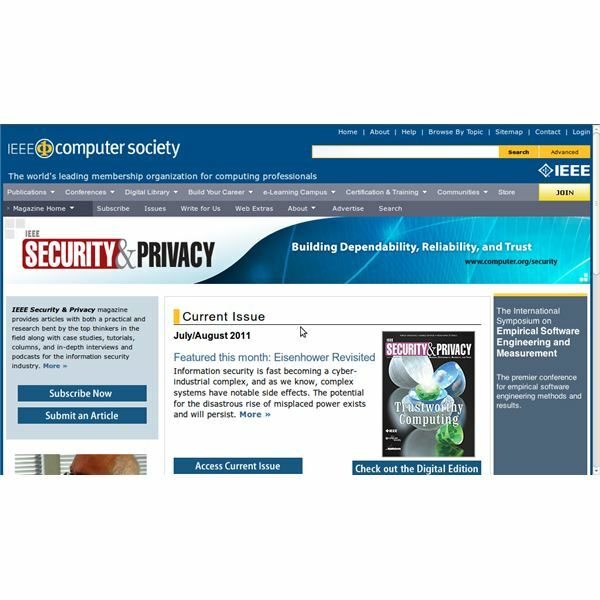 If you are a fan of more academic-style publications, then IEEE Security & Privacy is your magazine. It is a print publication with an online version, which however isn't free. Anyway, the site of Security & Privacy offers enough free content with top quality, so even if you don't feel like paying, there is still lots to read. The magazine accepts papers by the community, so if you are a researcher and have a paper you want to publish, you can try your luck. Infowar is another security magazine worth reading. It has a RSS feed and you can subscribe to it to deliver the news straight to you. Its focus is mainly on security but it also publishes articles on other tech topics. Compared to the other security magazines in the beginning of the list, Infowar posts less but still its articles are not a waste of time. Before we became the pros we are today, we were all novices. We often forget that not everybody is at our level. However, I haven't forgotten this simple fact. This is why I have included resources for novices in this list of computer security magazines. 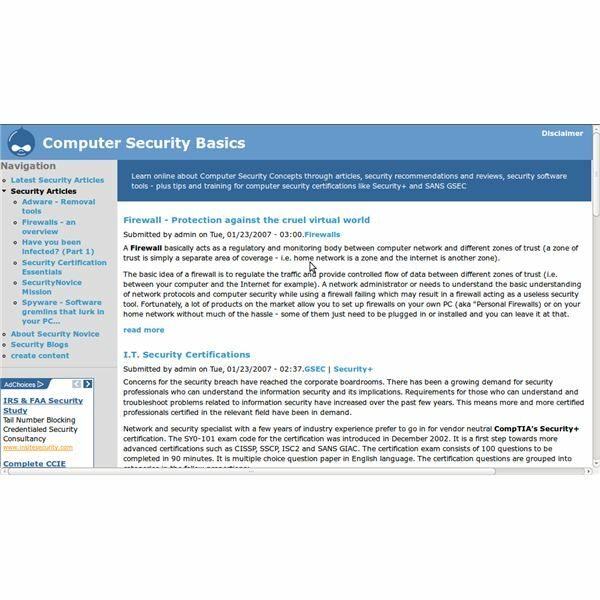 Computer Security Basics explains in a relatively simple language the basic security concepts, and for somebody who is new to computer security but who would like to improve his or her knowledge, this resource is a good starting point. PCMAG's section on security reviews isn't explicitly targeted at beginners but the stuff there is easy to understand even by non-pros. The best thing about this resource is that it gives an objective opinion about the pros and cons of most of the security software in use today. With the overwhelming abundance of computer security magazines that exists today, it is pretty hard to compile a short list of the most useful ones. I have tried to include some of the best (in my humble opinion) and to leave out the ones that are more fluff (and sales talk) than the real thing. I hope this list will be useful to you.